Star Trek - The Original Series debuted in 1966 and followed Captain Kirk and his loyal crewmates on their epic Galactic adventures aboard the USS Enterprise. 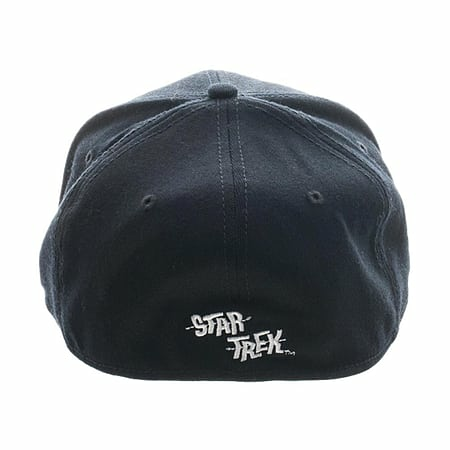 Following The Original Series, us Trekkies were rather spoilt with The Animated Series, The Next Generation, Deep Space Nine, Voyager and many more TV series, all leading up to feature films including most recent additions including actors Chris Pine, Zachary Quinto, Benedict Cumberbatch as Kirk, Spock and Khan, respectively. The Star Trek franchise has certainly kept its momentum over the years and thanks to its huge fan base, is showing no signs of coming out of warp speed. With great fans come great responsibility (oops, wrong franchise!) 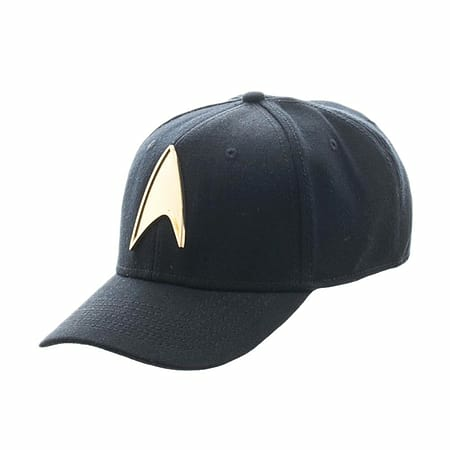 so it's only fair that here at Retro Styler we reward our Trekkies with lots of awesome Star Trek merchandise, such as this Metal Badge Flex Cap. 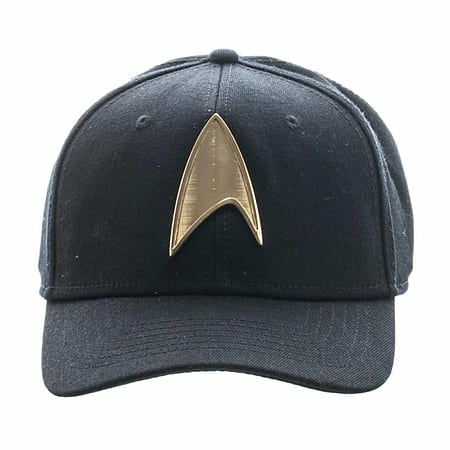 This black baseball style Star Wars Cap has a solid metal gold tone Starfleet insignia at its centre, with classic embroidered Star Trek logo on the reverse. The flex cap is made from a mixture of Acrylic, Cotton, Wool and Spandex. With a flexible headband you'll get the perfect fit and there are several stitched eyelets throughout to keep your head nice and cool. ?There are a million things in this universe you can have and there are a million things you can?t have. This is one thing you can definitely have!